Erie Gives Day is coming, and it's time to put our monies where our metaphorical mouths are. Now in its seventh iteration, this event has grown year after year, both in donors and in money raised. Last year, the total amount given was $3,451,087, up more than 20 percent from 2015's results. Bringing together donors and nonprofits, the event has cemented its spot as one of the largest single days of giving in our community. From 8 a.m. until 8 p.m. on Thursday, August 8, donations above $25 will count toward the final grand tally. Life for a nonprofit can be difficult. There are so many organizations out there that are doing wonderful things to make our home a better place. Without our help, these organizations would go underfunded, their noble efforts shriveling on the vine. There are organizations devoted to arts and culture, education, mental health, medical research, animals and pets, environmental stability, the underprivileged, and many, many other worthy causes. These organizations are the lifeblood of Erie, and it's our job to help them out. On Tuesday, August 8, your donations are able to go even further than they normally would. Thanks to funding from the Erie Community Foundation, GE Transportation, Erie Insurance, Northwest Savings Bank, Presque Isle Downs and Casino, E. E. Austin & Son, Erie Bank, Frontier General Contracting, Little Caesar's, and McInnes Rolled Rings, a prorated match will be provided of up to $315,000. That means your donation could have twice the monetary impact compared to any other day of the year! We here at the Erie Reader felt compelled to do our part as well. Many of us have been participating in Erie Gives day since its inception in 2011, and are happy to continue this tradition for years to come. This year we decided to cast a net, and invited our contributors to say a few words about who they're donating to. We encourage you to go to eriegives.org as soon as possible, and find a nonprofit that speaks to you. Then on August 8, it's time give. Who are they: EHCA is an organization that provides possibilities for people with disabilities. It provides community homes for almost 100 people and offers other services to enhance the lives of adults with disabilities. Additionally, EHCA's Life Sharing program pairs a person with disabilities and a family that can provide care from their own home. Why I am giving: I interned at the EHCA last summer. I worked in development and marketing, but I still had the opportunity to interact with the residents on several occasions. Everyone that I met seemed genuinely happy in their EHCA homes. Many staff members had worked here for 20- or 30-plus years. One had even been with EHCA for 50 years. I loved watching the staff interact with the residents. They really treat them like family. Bonus: Another EHCA program, called Project First Step, helps pregnant women who are at risk of having newborns with disabilities. Who are they: Emma's Footprints is an organization that offers support to families who are grieving from infant or pregnancy loss. 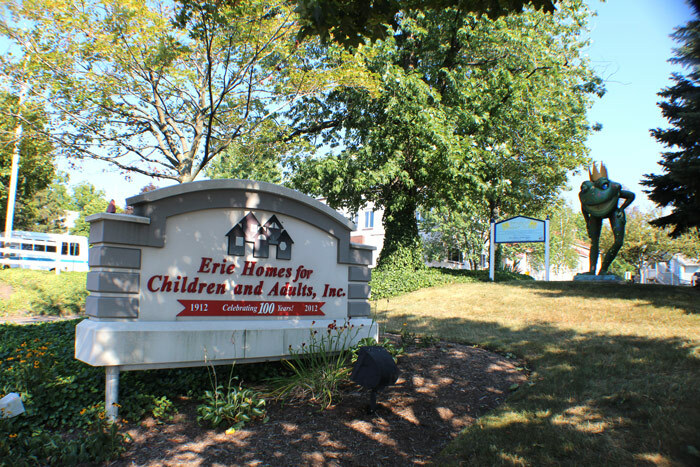 They bless the community of Erie by providing financial assistance and emotional services. Why I am giving: I have witnessed many strong women in my life become helpless with the tragedy of infant and pregnancy loss. My heart goes out to them and their families but I never know how to comfort them or show them that I care. Emma's Footprints embraces families and helps them to heal in a way that you and I may not be able to. Bonus: If someone in your life is grieving from pregnancy or infant loss, you can send them a personalized care package through Emma's Footprints. Who are they: An organization dedicated to promoting diversity in our region by working with immigrants, refugees, and English language learners. Through their headquarters at the old Penn Schoolhouse on East 10th Street, they offer a variety of services, including language tutoring, employment readiness instruction, computer classes, childcare, and transportation. Why I am giving: Nearly 20,000 immigrants live in Erie, including scientists, plastics manufacturers, chefs, musicians, and entrepreneurs. We live at a time when they are often stereotyped and scapegoated. 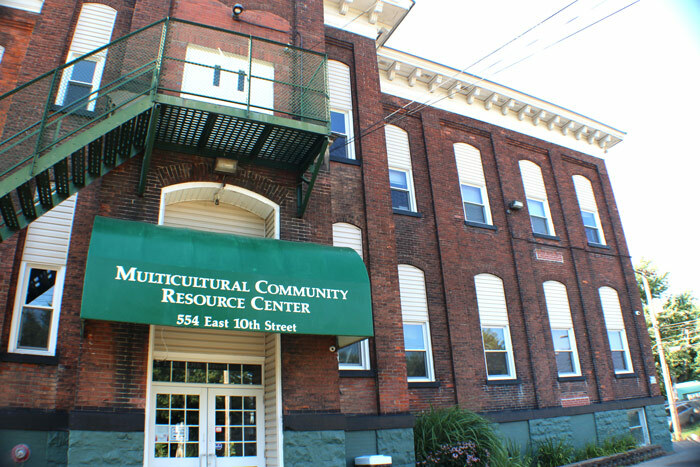 The MCRC ensures that Erie is a welcoming community by helping our newest citizens succeed. Who are they: Friends of Erie County Library works to advocate and raise funds for all of the community libraries throughout the Erie County system, with a focus on raising money for a wide variety of programming and cultural events at each of the branches. They're also there to improve upon — and make better-known — all of the amazing things our community libraries have to offer people of all ages. Why I am giving: Library time is a family tradition in the Smith household. Often — once a week, usually, and sometimes more than that — we head there, receive a warm greeting from our library ladies, and then see what's new. Sometimes we're there for books. Sometimes we're there for activities. But whatever reason we walk in the door, we always find it to be a place where we can relax — and let our imaginations soar. Bonus: As a child, I always wanted to be a librarian. Maybe now they'll let me run the stamper. 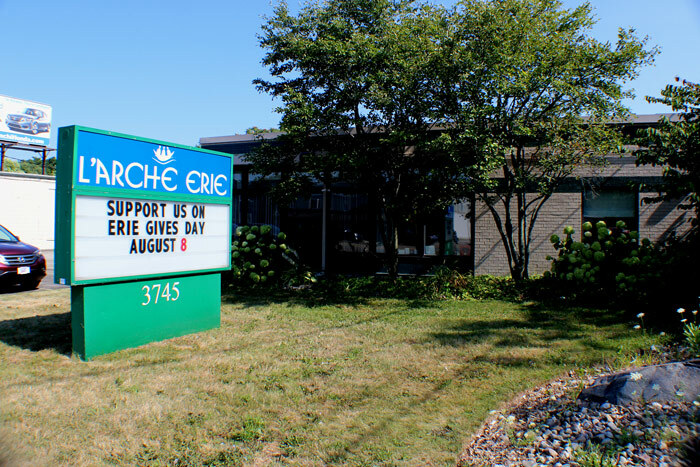 Who are they: L'Arche Erie is a faith-based community for people with and without intellectual disabilities. Featuring seven homes and four family-home situations, L'Arche Erie provides an environment where people live, work, and experience daily life together. Endeavoring to promote a respectful and just world for all, L'Arche Erie is part of an international federation of more than 140 worldwide communities that cultivates relations through mutual respect. For a really beautiful and stunning look at what and who L'Arche is, check out the web series on YouTube #AsIAm. Why I am giving: Although I currently serve on the Board of Directors for L'Arche, I began my relationship with L'Arche as an assistant ten years ago and it was truly a life-changing experience. L'Arche has given me so much; from teaching me to appreciate life's small gifts as much as its large ones, to embracing servant leadership, to recognizing the opportunity to grow through challenges, L'Arche has helped me gain a better, deeper perspective of the world and my place in it through shared moments with a rich and vibrant community. The work of this organization serves as a constant reminder that although we may not always live in a world that is just, we must endeavor to make the world a more just place. Who are they: Tamarack is both for the birds (orphaned, injured, and/or ill raptors) and the beasts (turtles, baby opossums, rabbits) — helping them ease their burdens and get back to their natural habitats. Many of these animals' afflictions arise from their scrapes and brushes with humanity, so Tamarack is also highly invested in nurturing an appreciation and respect for the species it rescues. Raptors that cannot fully recuperate visit schools, fairs, clubs, and libraries as living lessons about the importance of coexistence. Why I am giving: A peregrine falcon alighted on the windowsill outside the Reader offices not long ago, an obvious sign. It was majestic — certainly more majestic than I deserve. Seriously, though, I have always been in awe of animals (as a child, I aspired to be a veterinarian before I discovered that it might be a stable career) and their unique adaptations and abilities. For instance, the peregrine can swoop up prey at up to 200 miles per hour — your coworkers can't even descend upon leftovers from your lunch meeting that fast! I'm donating because only people fully realize how difficult it can be to live with…well, people. As our world becomes increasingly homogenized and our country becomes dumber by the day, public libraries offer the best hope for the future of mankind. Who are they: Our community library in North East. Why I am giving: As our world becomes increasingly homogenized and our country becomes dumber by the day, public libraries offer the best hope for the future of mankind. They are the repositories of past and obscure knowledge. They offer researchers the opportunity to dig infinitely deep into facts. Libraries give access to books and computers to those on the fringes of society. They give safe and free access to bold, controversial, and even subversive ideas. They engender a love of reading and learning in our children. Libraries are freedom and democracy in brick and mortar. They are sacred. Without them we are doomed. Bonus: Free Internet access and Neil Gaiman books - what's not to love? 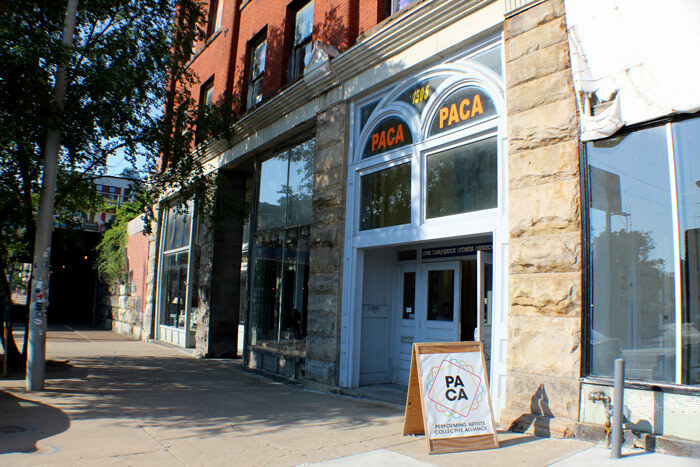 Who are they: PACA is a community arts space. The black-box type theater on the building's second floor has been host to some of the edgiest, professional-quality productions Erie has offered. They also offer private studio spaces for musicians and artists of all kinds. Why I am giving: Personally, my involvement with PACA sparked a monumental positive shift in my life. Being an active part of our local theater and arts scene opened so many doors for me. With PACA in particular, things are moving forward in visible ways. Earlier this year, artistic director Mark Tanenbaum was able to purchase the actual building. Several friends of mine have studio spaces there that have helped me create art and music. It's a special place. There's still a lot of work to be done, though, and it has the potential to be one of Erie's greatest success stories. Bonus: Now maybe Mark will stop yelling at me. But probably not. Who are they: LifeThruMusic, founded in 2013 by local musician Corey Cook, is an innovative mentorship program designed to provide young people an opportunity to both stay current with the technological advances in music making, while also helping them build the all-important networks necessary to harness and further their talents. Why I am giving: I've watched LifeThruMusic grow since its inception, and I think its mission fills an important void in Erie. In addition to nurturing and inspiring the musical talents of young musicians, it exposes them to the business of music. Teaching them about budgeting, marketing, and building clientele (among other things) is invaluable, and perhaps the only time these kids will ever receive this kind of training and information. Who are they: BYC is a volunteer driven, no-kill animal shelter located in McKean, Pa.
Why I am giving: When I first walked in the door to the dog building at BYC, I quickly noticed that the animals seemed happy. I heard none of the distressed cries one often hears from the canine residents of animal shelters. This is because they foster the animals in loving homes until they are ready for adoption, instead of keeping them in cages. Once they are ready to be placed in a forever home, BYC staff takes the time to make sure that the animals in their care are properly matched. 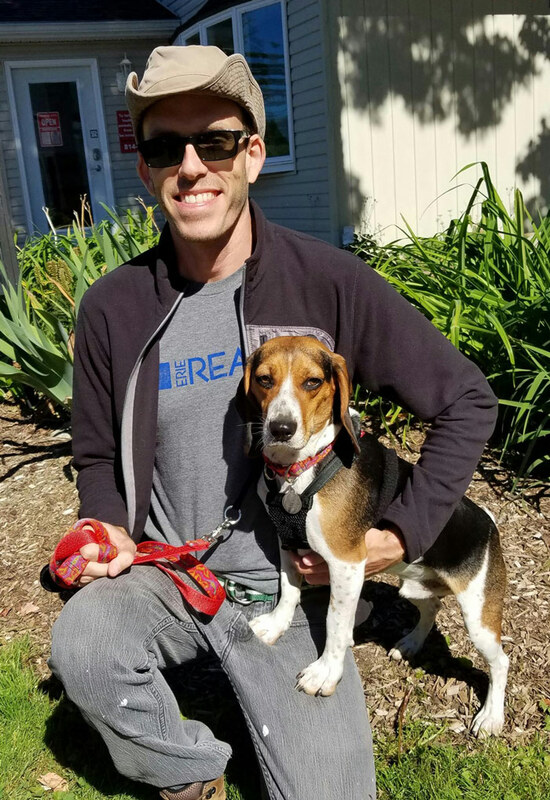 Before I was able to finalize the adoption of my beagle Slim, a BYC staff member came to my home to make sure we had a suitable living space for the energetic pup. They really do care at Because You Care. Bonus: Before making his way to Northwest Pa., Slim was living in a kill shelter in Kentucky and his time was running short. Volunteers busted him out and brought him north, where there are more people looking to adopt. 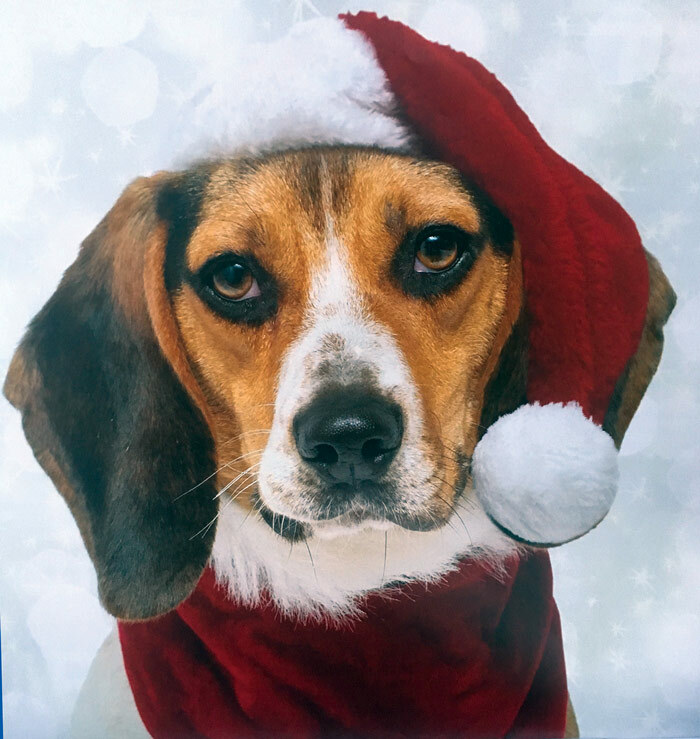 Slim was Mr. December in the 2017 Because You Care calendar. Whether mentoring children in one of many after schools programs or helping families navigate the path to homeownership, the Sisters of St. Joseph provide a model and mission that deserves to be supported and, where possible, replicated. 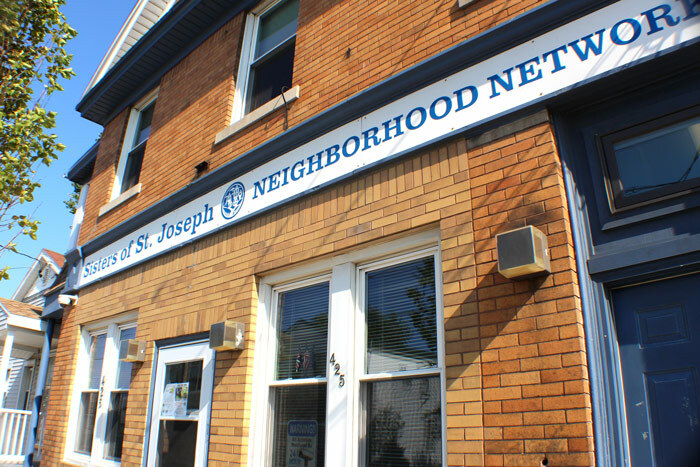 Who are they: The Sisters of St. Joseph Neighborhood Network (SSJNN) was established in January of 2000 by Sisters of St. Joseph of Northwestern PA to meet the needs of impoverished residents of Erie's Little Italy, and work toward revitalization of that blighted neighborhood. SSJNN provides one-on-one advocacy for the residents, a weekly soup kitchen, emergency assistance with food and hygiene products, community gardens and a wide variety of individualized and small group programs for children and adults. SSJNN also works toward neighborhood revitalization and community and economic development. 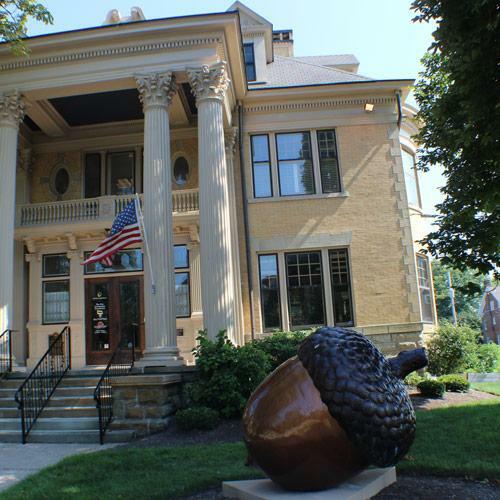 Why I am giving: The Sisters of St. Joseph are an unwavering presence in the city of Erie and, in particular, the neighborhoods they directly serve. Whether mentoring children in one of many after schools programs or helping families navigate the path to homeownership, the Sisters of St. Joseph provide a model and mission that deserves to be supported and, where possible, replicated.